Winfield 34 PTO - Latest News! Students and staff brought in 3,603 box tops for our school this fall, earning the school $360.30. Thank you for all who contributed! Remember to save your box tops year round, so get a new bag ready at home and keep saving! Also, if you have relatives or neighbors with no school aged children, ask them to save for you too. Let's see if we can have an even bigger collection this Spring! Thank you to all our participants and box top volunteers! Join us for a fun night gazing at the stars at 7pm on Friday, September 29th at Lions Park! The Naperville Astronomical Association will come to us, to present a fun and educational star/moon gazing event. RSVP to the event on the Winfield 34 PTO Facebook page, so we can make sure to have enough telescopes! UPDATE: Everyone is encouraged to wear glow sticks/bracelets/ necklaces, as it will be very dark in the park. The weather looks good for a great event, but in the unlikely event of a cancellation, we will communicate this on our Facebook page, via Remind text, and via email. We have simplified the opportunity to be a room parent! We have made it easier for working parents to be involved and for you to take on a smaller job and still serve your students. Pre-K thru 5th grades will need an admin parent to help with e-mails and Pre-K thru 2nd grades will need one parent to help facilitate each party. And each classroom will have materials available to make running the party simple. So jump on SignUp Genius and chose the party you can help with! If you have additional questions, please contact Harper Guerra (guerrahealth@gmail.com). Do you have materials, games, etc to help share with the classes? Drop off will be Monday, September 25 at school drop off. Did you know that every Friday is Winfield 34 Spirit Day? All staff, students and families are encouraged to show off their Winfield Tigers spirit wear! Need more spirit wear? No problem! Our annual Spirit Wear Sale has begun! You can order Winfield 34 Tigers Spirit Wear via the online store in the link below, now through Friday September 22nd. See the attached flyer or the webstore link above for more information. Please contact Mary Anne Gonzales (Spirit Wear Coordinator) at maggonzales@yahoo.com or (630)774-7876 with questions or if you are unable to order online. Subscribe to receive PTO text messages using the Remind service! Don't forget to text @w34pto to 81010 from your phone to subscribe to receive reminders and other important information from the PTO via text messages. PTO and other subscribers will not be able to see your phone number. As you've seen in the PTO packet of information that came home last week, we are continuing the 2 Hour Power program from PTO Today. We are asking each parent to volunteer just 2 hours of their time to the PTO & school. There are many volunteer opportunities available so far, please see the volunteer handbook and either return your Volunteer Form to the school or sign up online via SignUp Genius. PTO has purchased the planter and soil for the garden club! 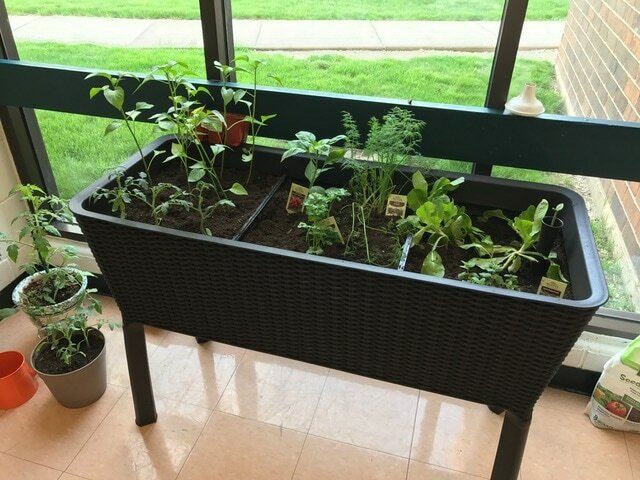 They are currently growing tomatoes, peppers, parsley, peppermint and lettuce growing in the cafeteria. See all the details under "Events & Activities" on the Tiger Run page! Volunteers are still needed, sign up before March 23rd to guarantee a t-shirt. REGISTRATIONS ARE DUE MARCH 23rd!